How Would You Like to Awaken With the Feeling of Total Freedom First Thing Every Morning? Can you imagine stress-free mornings and days filled with positivity? Here's the good news... You can have the perfect morning ... every morning! It all begins with eliminating self-limiting beliefs and the negative behaviors that destroy waking up on the right foot. Lauren has not only created this freedom for herself, but spent thousands of hours helping others do the same in premium personal coaching sessions. Now you can have all the tools she uses to help people create their perfect morning routine in the form of a Quest that takes you step-by-step through everything you need to liberate your mornings. You'll also learn how to change your routines as you evolve while maintaining two main areas that must remain constant for total well-being. You'll learn about these as part of Lauren's Quest and much, much more. Don't wait - start today! Every morning that you continue waking up on the wrong side of the bed, you are robbing yourself of so much of life's precious joy and happiness. 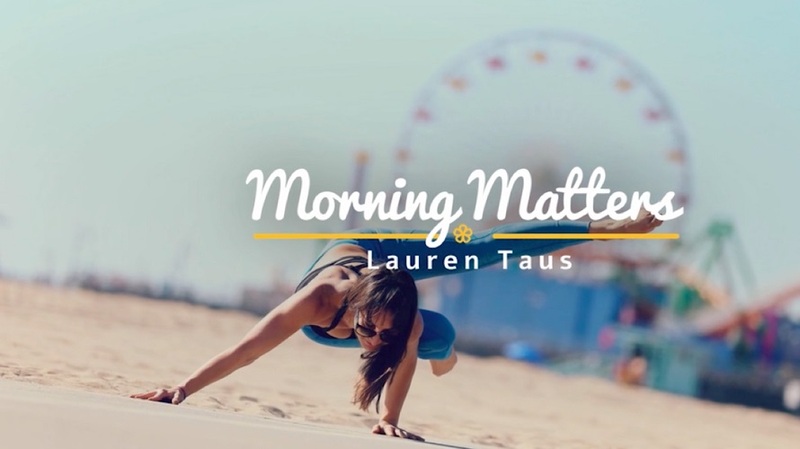 Join Lauren and be ready to... * Create fulfilling morning rituals that always create the perfect day. * Replace your current morning hassles with calm and soothing states that never fade. * Experience incredible levels of happiness beyond measure. * Have an awesome morning toolbox of tips and tools to make your mornings go from blah to blazing! Get ready to say goodbye to unhappiness at dawn and explode with energy and passion each and every day. Join this Quest today. Mission 1: What matters to you?